Join us tonight September 11 for Ladies Night Out at 6pm! Ladies, bring your friends and neighbors and come to our Ladies Night Out at River Oaks Golf Course & Event Center for our battle of the bartenders and help support Carpenter Nature Center. What’s included with your admission? You get 3 drinks (1 signature drink from each of our battling bartenders), entry to win a door prize, time to socialize with your friends or make new friends, and a portion of your ticket price will be donated to Carpenter Nature Center! We are fundraising for Carpenter Nature Center on Ladies Night so come check out some great silent auction items as well. 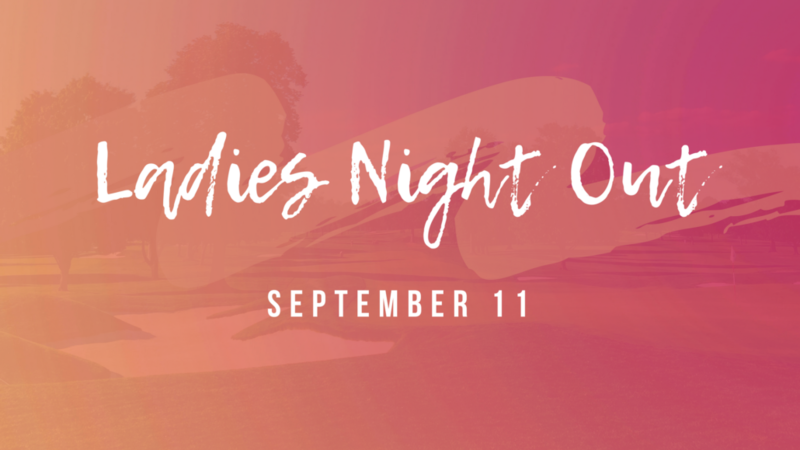 https://riveroaksmunigolf.com/wp-content/uploads/2018/08/Ladies-Night-Out-2-e1534969155276.png 450 800 Dennis Neitz https://riveroaksmunigolf.com/wp-content/uploads/2019/03/RiverOaksEventCenterLogo2019-300x246.png Dennis Neitz2018-09-11 10:53:202018-09-11 10:53:20Ladies Night Tonight!